When the discussion of the satire comes, There is a big history behind it. From the Romans to the Greeks, All of them did it at that time. Basically, the satire is to use the humor, irony, exaggeration, or ridicule in order to expose and criticize people. It can be used for different purposes or as well as you like to use it. It can also be used against anyone in the world. No matter what he is or what position he has got. You can use it against the politicians or against any individual person or may be your friend. 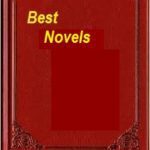 When it comes to the best books on the same topic then these are the best books of all the time, which are known for the satire. 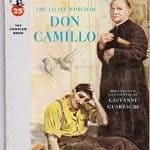 If you like satire books then we have a list of 10 best satire books 2018 and of all times for you. You can buy these top 10 book below at cheap discounted price. This book was written by a Spanish Author which is well known for his novels. The story is about a person named Mr. Alonso Quixano. He is a fan of reading the chivalric romances. And then suddenly he changes his mind and becomes a warrior of the justice and he wants to stop all the wrongs as well. He just wants to be the hero at any cost. As he is the Don in the story and he has the power in his hands as well. The novel has a great influence of the literature as well. The novel was published in 1605 and still considered as the best book in many categories. Which is a proof that it is a worthy book to read. This book is related to the medical field. The book was very much scandalous at the time of its publication. But with the passage of time, it became the greatest book which is satire based. The book is based on the medical students which are studying psychological harm and dehumanization subjects. This book is considered as the “raunchy, troubling and hilarious” by the New York Times. The book was published in 1978. The author of this book is known as the greatest writer of all the time when it comes to the satire type. It is basically a novel. In which the World War 2 is discussed. The story revolves around the Captain John Yossarian who is a bombardier. The book tells about his stay on an island with some other airmen in the camp. This book becomes more and more interesting as the story continues. The book was published in the year 1961. But it is still one of the best books based on satire. If you are looking for a historical book based on the events happened in the World War 1. Then you must have to read this book. The author has participated in the World War 1 with the help of this book. The character in this book is a Soldier Švejk. Which is according to the author a very good and a brave soldier. It is basically a part of the Czech literature. And it was originally written in the Czech language. It was later translated into the English language in the year 1930 due to its fame. The words “Going Postal” is an American Slang. And it means that someone is extremely angry. Angry is a normal term, but when someone becomes the violent due to the anger, This condition is known as the Going Postal. The book possesses the philosophical themes, and it is also a novel basically. The book was published in the year 2004. 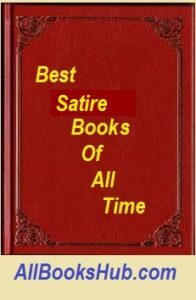 But still is in the top list of the satire books. 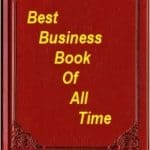 This is not the only best book by the author which is satire based. But almost all the books written by the author are considered as the best ones as well. This book is also a novel type book and is considered as the perfect book when it comes to the satire. The book tells us the story about the Russian Revolution of 1917. 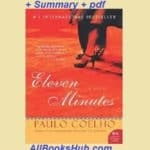 This book was chosen as one of the Top 100 best English-language novels from 1923 to 2005. The novel is about some of the animals which have held a meeting and they declared the humans as their enemies. To preside the meeting there is a human which is named as Old Major in the book. The book was published in the year 1945. 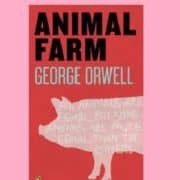 You can Download Animal Farm pdf Free here. This book is not an ordinary novel book but is considered as one of the best Soviet satires as well. In this novel, The Devil visits the atheistic Soviet Union and all the story is around this main plot. There are two different times in which the Devil himself visits the humans in this novel. This book is written in a very attractive and in an efficient manner. You are going to find this book as one of the most addictive books you have ever read. The book was published in 1967. This is basically a story of King David. King Solomon Tells the Ethan to write the official history of King David. The story turns around when the Ethan looks deep into the personality of King David. He finds that King David is not a positive personality in the history. He has seduced, lied, bragged, and plundered and did the wrong use of his power. Now all the things are in the hands of Ethan. He is not able to decide whether the dark side of the king will be presented to the world or the bright side? The book was published in the year 1973. 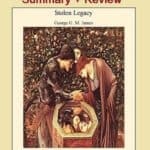 This book is a novel type book and is all about the history. If you are interested in the historical book then it is going to be a special book for you. The book was published in the year 2012. Later a movie adapted this novel as well. The name of the movie was same as the name of the book. The story is about Adolf Hitler. His life and how he started his life till the end. The book is commonly known for the T.V series Blackadder. There are fewer writers which keep all the tiny details in mind while writing a book. This book is a Masterpiece itself. You are going to admit that this one is a special book after reading the book. The book was published in the year 2014. The story in this book is also about the World War 1. So it automatically makes the book a historical one as well.